Feeling lower than a snake’s belly? Or perhaps is “fump” the objective correlative for now? (Milt Hinton would be happy to explain.) Is the inside of your skull terribly dark these days? Here is more evidence of the cosmic happiness that took place that night: RUNNIN’ WILD and FINE AND DANDY. Incidentally, a young musician (I believe he plays trumpet) named Wynton Marsalis came in for the second set. I am sure that he inspired the band, but I am even more sure that this delicious quartet inspired him as well. As they did me. 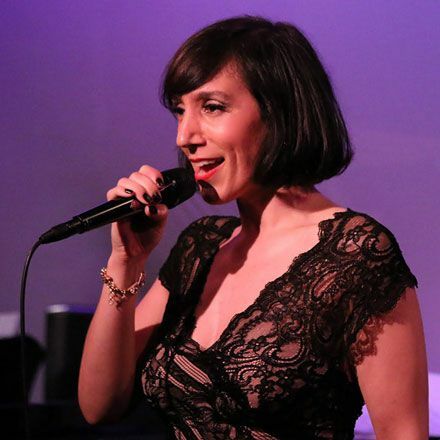 On Monday, July 11, at 8:30 PM, Gabrielle Stravelli and Michael Kanan will create one set of glorious music at the Cornelia Street Cafe in Greenwich Village, New York. Here is the event page with all the necessary information. That performance is something I marvel at, over and over. And at the Cafe, Gabrielle and Michael will be performing songs from the CD as well as some that do not appear on it. Gabrielle Stravelli and Michael Kanan create rare beauty. Whenever I’ve heard them, singly or in duet, I’ve marveled. I feel as alive as I will ever be, with tears in my eyes and an astonished uncontrollable smile. Their art is heartfelt and subtle. It takes devotion to be so at one with the music, to create drama without being dramatic. They serve the song, words and music. They make the most familiar song seem fresh, but never distort it in the name of innovation. These performances were recorded in The Drawing Room, that gratifying yet unassuming Brooklyn shrine to music, on February 8, 2105. It was an honor to experience such music, to witness it being created. The rapport between Michael and Gabrielle is intuitive. It is trust set to music. They travel the same path as dear friends, serious about their work but light-hearted in play. The results are quiet rather than showy yet always convincing, an love-offering of improvised nuances, not rehearsed gestures. Even when the material they choose is dark, tenderness shines through. They are at once serene and agile, poets who never insist on Being Poetic. I don’t know what their religious beliefs are, and it would be impudent to inquire. But these performances seem fully realized secular hymns to music, to feeling. Gabrielle and Michael offer us hopeful visions of exalted possibilities. My praise might make them seem too deeply serious, as if listening to their music was weighty spiritual homework. Not so. Doom is never one of the specials on their menu, and you can hear them smiling when the song calls for it. Their work is characterized by ease and wise patience. They don’t rush. They allow each moment to emerge as it will, to blossom and turn sunward. They delight in a rubato forward motion that never loses the pulse. Gabrielle’s voice has many rooms, each one painted a different color. It can move from a hushed half-whisper to the insistent meow of a Siamese cat or the wry curl of a New York Italian adolescent, amused by what she’s just seen on the street, to an expressive, rangy open voice, dark and warm in its lower register, bright and soaring above. She has beautiful diction and she never obliterates the lyric; rather, her phrasing makes meaning deeper. Only she can make me accept the “idea” / “Maria” rhyme in SO RARE, which fact I offer as great tribute. Michael’s touch is sensitive; his harmonies remarkable. He surprises but never shocks. He honors Jimmie Rowles by not imitating him. His phrases breathe in inspiring ways. His playing is spare yet rich, with a singing expressiveness. He knows that the piano has an entire orchestra within it, but his creations always sound translucent rather than insistent. His is an art where every detail matters and resonates long after the struck note has died away. As an accompanist he gives wondrously, wanting only that others sound even better than they thought they could. With stories full of sweet truths, Gabrielle and Michael invite us to open the secret door in the attic, revealing the stairway to the stars. Through their music, we climb to a rare joy. So I urge you earnestly to come to the Cornelia Street Cafe on Monday, July 11, 2016, for this blessing in music. The music begins at 8:30. The doors open at 8. There is a $10 cover and a $10 food/beverage minimum. Call (212) 989-9319 for reservations or reserve online at www.corneliastreetcafe.com. A few postscripts. I will be there, as close to the music as I can get, beaming at these two artists whom I admire so much. But I will be there as a mere human being, which is to say someone without a camera. And the Cafe has informed me that due to budgetary restrictions, they will not be able to provide each patron of the arts with a lazy daisy. You’re on your own. Gabrielle Stravelli is one of the most moving and versatile singers I know, and I’ve been listening to hear for a few years now. She is nearing the end of a run at Feinstein’s/54Below — with shows on October 13 and 20 — both at 9:30. By the time I write about these shows on JAZZ LIVES, everyone will have moved into November, so I would simply urge you to come hear Gabrielle. Here‘s what Stephen Holden wrote about Gabrielle just yesterday in the New York Times, having seen her show at Feinstein’s/54 Below. Glorious touching music — the kind Gabrielle always creates for us. What follows captures one of those magic times when the song, the title, the performance, and the performers can all be described in the same phrase. 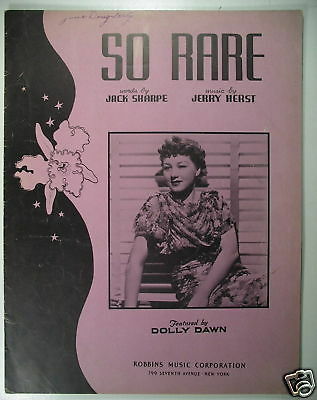 The song, to many of us, is associated forever with Jimmy Dorsey — his last hit –but it was a pop hit in 1937. The simple melody line has made it adaptable to all kinds of improvisers: there is an airshot by the Benny Goodman trio when it was new, and later performances by Ella Fitzgerald, Mose Allison, Anthony Braxton, and the duo of Jimmie Rowles and Joe Pass. But I submit that the version that is now forever in my mind and heart is this one, created by Gabrielle Stravelli and Michael Kanan on February 8 of this year at The Drawing Room, 56 Willoughby Street, in Brooklyn. Isn’t that marvelous? The dark beauty of Gabrielle’s voice, moving from the casually spoken to the eloquently full-throated, and the moving subtleties Michael always creates. And that steady sweet patient tempo. I offer another masterpiece from that evening — and there were many — here. I propose that music like this — delicate, haunting, elegant, deep — is indeed so rare. And I send thanks to Gabrielle’s parents. If you’re reading this in the tri-state area on February 4, the view from your window might be cheerless, the prime ornament being snow heaped up in unappealing mounds. As I write this, the thermometer is struggling to rise up out of the twenties. You can’t hear it, but I am sighing. I watched my video of this 2012 performance again, to make sure I wasn’t simply remembering the experience through a sweet nostalgic haze, and once again I had to brush tears away. This performance of BILL is the musical equivalent of watching a flower open in slow motion, for Gabrielle and Michael so wisely and sweetly capture the doubleness of the song — a mildly comic undercurrent, the teasing way one can gently list the faults of the person one loves, because both that person and you know the deep accepting love underneath, and the embracing tenderness. Michael and Gabrielle fully inhabit those emotions and make them come to rich life in front of us, in sounds and words. I expect some of this magic will happen again this coming Sunday, so I will don appropriate winter garb to make it to Brooklyn. Here is the Facebook event page for this concert. Sign on. Join in. The music will reward you. And, one week later, February 15, pianist Roberta Piket and tenor saxophonist Lena Bloch will be making brave beautiful music at the Drawing Room. I hope to be there, too.